Buying school clothes for less. Back-to-school clothes shopping should be a joyful event, an annual outing enjoyed as you ready your children for the adventure of another school year. Fresh new clothes for a fresh new year with smiles all around for the happy shoppers, right? Unfortunately, one glance at the price tags on the clothing at most retail stores can turn your smile into a cringe and have you contemplating cracking open the college nest egg in a mad scramble to finance your kids’ wardrobes. A pair of jeans costs what? Shoes are how much? You want your children to look fabulous, but what about your budget? Lisa Reid, author of Raising Kids with Just a Little Cash (Ferguson Carol), calls clothing “one of the most money optional things your child needs.” Buying secondhand clothes is one of the ways the author recommends controlling costs. 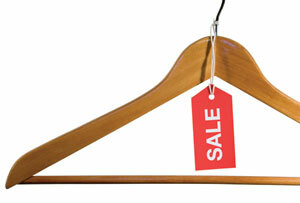 Resale shops give parents plenty of options for finding great clothes at significantly reduced prices. Even better, the threads are often made by the high-end brands you and your kids covet. And here’s the best part: Because most resale shops only accept clothing in excellent condition, no one will ever know that the designer labels inside your kids’ collars cost you a fraction of the retail price. So go ahead. Dress your kids in Gap, Ralph Lauren, Hanna Andersson, Abercrombie and Hollister. Is it new or is it resale? Only the person who manages your household finances will know for sure. Research the resale shops in your area online, and call ahead or check Web sites to find out the rules for selling or consigning the clothes your kids have outgrown. Some shops pay cash, while others offer in-store credit. Either way, you’ll feel like you’re shopping for free. If you don’t have clothes to trade in, shopping at secondhand stores is still a fantastic way to keep the coins inside your piggy bank, where they belong. Parents who buy their kids’ clothes at resale and consignment shops estimate they regularly save anywhere from 50 to 75 percent— and sometimes more— off of retail prices. Need another reason to try resale shopping? Buying secondhand is inherently green. Rebecca Kelley, co-author of The Eco-nomical Baby Guide (Stewart, Tabori & Chang), suggests you consider shopping at resale stores because secondhand clothes don’t rely on raw materials or poorly paid factory workers. Buying at secondhand shops also supports local businesses, and buying local saves resources because products don’t have to be shipped. Plus, many resale shops stock products by local artists and designers. In other words, you can go green, save green and pass along a little bit of green to the creative class. Wait, there’s more...resale shopping is fun! As you never know exactly what you’ll find, every shopping trip has an element of adventure. You and your kids will feel like you’re on a treasure hunt, combing through the racks in search of hidden gems. One thing’s for sure: When you find those gems, you won’t have to break the bank to purchase the clothes your family adores. Go forth and multiply the power of your purse. Shop at resale stores to take the cringe out of your back-to-school shopping spree, do a good deed for the environment and save oodles of moolah on knock-out wardrobes for your children. Buy quality clothing. While you may find inexpensive clothes on the clearance rack of the big chain stores, they probably won’t last. Resale shopping allows you to buy quality brands that last without taking out a second mortgage, and your kids won’t look like every other child wearing mass-produced clothing. Watch for the items your kids wear year-round, like sweaters, sweatshirts and lightweight shirts that layer. Even in cool climates, many kids opt for sweaters and sweatshirts instead of coats, putting a real drain on your pocketbook when you buy tons of these wardrobe staples. Stocking up at resale stores saves a bundle and keeps the kids bundled and toasty. Encourage your older kids to make picture lists by going online and printing out photos of the clothes they like best, or by cutting pictures of desired duds in magazines. Carry the picture lists with you when you hit the resale shops as a reminder of the looks your children crave. Know your children’s sizes in their favorite brands. One key to successful resale shopping is taking advantage of a great buy when you see it. Keep notes in order to grab killer purchases whether or not your kids are with you. Be patient and persistent. Remember that you may have to shop often or be willing to look in several different stores to find what you want. The low price, however, is worth the wait. Julie Ann Barber is a freelance writer, editor, community college writing instructor and mom. She lives in Portland, Oregon.